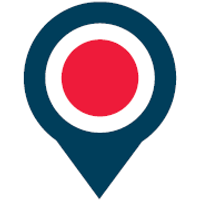 OnTheMarket plc (LON: OTMP), the agent-backed company which operates the OnTheMarket.com property portal, has today announced that, as of 12 December, it has listing agreements with UK estate and letting agents with more than 12,000 branches. This increase of more than 6,500 branches since Admission to AIM in February has been achieved in just over ten months. The figures include 60 offices, largely made up of smaller firms, which have recently entered full tariff paying listing agreements. These firms will receive new shares in OnTheMarket plc alongside the listing commitments they have made. The shares are subject to 5-year lock-in arrangements to ensure that new shareholders’ interests are closely aligned with those of all other agent investors. The listing agreements result from a limited pilot which has helped to refine the offers which will be made to agents currently on free trials which expire during the course of next year. The growth in OnTheMarket’s agency branch base to date has been almost exclusively from offering free listings under short-term introductory trial offers, with a view to converting these to full tariff contracts when the value of its offering has been demonstrated. The sales team is continuing to see encouragingly high levels of agent support and conversion to signed contracts when it presents the opportunity of listing on an agent-backed portal. “We have significantly ramped up our marketing activity. In combination with our growing agent base and property stock, this has generated increasingly strong performance in terms of visitor traffic and the volume of high-quality leads we are providing to agents. “Our progress to date and the clear support for an agent-backed portal give us confidence that we can continue to build on this strong start and develop a genuine alternative, market-leading, agent-backed portal. Comparing September 2018 performance with February 2018, the company doubled contracted agent offices to more than 11,000, trebled monthly visit traffic to more than 17.4 million visits and quadrupled email and telephone leads to agents.